Approximately 1.5 million Australians1 have been diagnosed with Type 2 Diabetes, and it is believed that a similar number are yet to be diagnosed. It is the fastest growing chronic disease in Australia, yet up to 60% of cases can be prevented. Many more of our population have glucose intolerance and insulin resistance, which are pre-diabetic states that can lead to Type 2 Diabetes. The incidence of this lifestyle related disease is increasing rapidly in our community as a direct result of people being overweight and obese, and reduced physical activity. 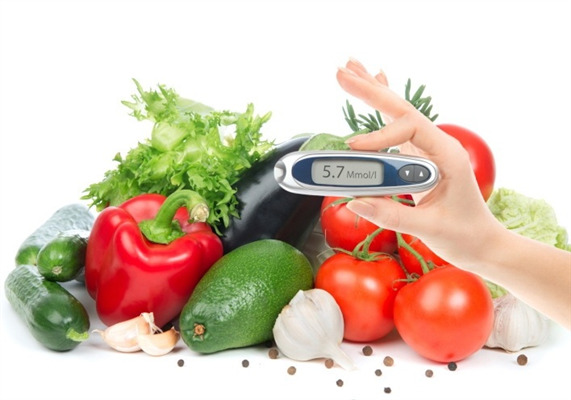 Diabetes can have serious implications for health. The aim of diabetes management is to prevent complications, including permanent damage to the eyes, kidneys and nerves through peripheral vascular disease, heart attack and stroke. Damage to the body occurs when blood glucose levels are continuously elevated. Proper management of diabetes, including diet and exercise, results in a more “normal” fasting blood glucose level between 4.0-7.9mmol/L. This can prevent lifelong damage and disease complications. Diet and lifestyle are the two factors that we can control. Weight management, a healthy diet with plenty of physical activity, avoidance of smoking and moderation of alcohol consumption are essential in the management of diabetes. Exercise and physical activity can assist greatly in reducing blood glucose levels as the working muscles use the blood’s glucose for energy. Having a higher muscle mass also assists in the maintenance of normal blood glucose levels, as skeletal muscles readily take up and store glucose. Lifestyle intervention studies in individuals with diabetes and pre-diabetes show a major impact in preventing and slowing the development of diabetes. These studies incorporate physical activity such as brisk walking, cycling or jogging (for a minimum of 30 minutes on most, if not all days of the week), reducing body weight if overweight, increasing dietary fibre and reducing saturated fat intake. Lifestyle intervention studies show a significantly greater benefit in the reduction of diabetes progression than taking metformin, a commonly prescribed diabetes medication. Discuss lifestyle and medication interventions with your GP, dietitian and pharmacist to find an option that is best for you. Research suggests that smoking is associated with an increased risk of developing Type 2 Diabetes, as well as increasing the complications of diabetes, such as cardiovascular disease, leg ulcers and amputations. Your pharmacist can provide advice on smoking cessation treatments that are most effective. Type 2 diabetes most commonly occurs as a result of being overweight or obese. In particular, abdominal adiposity is the major factor in insulin resistance and drives the development of diabetes. A waist circumference of >80cm for females or >90cm (Asian) / >94cm (Caucasian) for males is associated with an increased risk of Type 2 diabetes. A reduction in body weight 5-10% makes a significant difference, even if that does not achieve a body weight within the healthy weight range. Weight loss, if overweight or obese, should be slow and gradual and include sustainable changes in eating habits. It is essential to exercise during weight loss to maintain muscle mass and prevent the slowing of metabolic rate. Strategies for weight loss in diabetics include significant reduction in the intake of fats (particularly saturated fats), sugars and processed foods. Increasing in the proportion of high fibre foods, such as vegetables and wholegrain products is important in sustainable weight loss. Discuss diet modification with a dietitian before making major changes to your diet. A portion of low glycaemic index (GI) carbohydrates should be consumed at each main meal and snack to manage and maintain your blood glucose level. GI ranks foods according to their ability to raise blood glucose levels; a high GI meal produces a rapid rise in glucose levels. It is also important to consider glycaemic load (GL). GL takes into account both the amount of carbohydrate in the food as well as its GI. The nutritional quality of the food is also a factor, just because a food is low GI does not mean it is a good food choice. The GI and GL of commonly eaten foods, as well as useful advice on their relationship to blood glucose levels, can be found at www.glycemicindex.com. The dietary intake of saturated and trans fats should be minimised. These fats are mainly found in animal products and processed or deep-fried foods. Replace these fats with healthier monounsaturated and polyunsaturated fats; e.g. olive oil and almonds. A major dietary intervention study found that a diet with a higher proportion of monounsaturated fats reduced fasting blood glucose levels, whilst the low fat diet and ‘usual’ diet lead to increased blood glucose levels and progression of diabetes. High levels of monounsaturated fats are found in olive, canola and peanut oils, while whole grains, avocados, nuts, legumes and seafood also contain healthy fats. A fibre intake of 14g per 4200KJ (or 30g per day) can assist in the stabilising of blood glucose levels. Insoluble fibre from wheat bran and wholegrain breads helps to keep bowel motions regular. Soluble fibre from vegetables, fruits, and legumes helps us to feel full and also slows down the absorption of blood glucose in the small intestine. Soluble fibre can assist in regulating blood glucose levels and also lower blood cholesterol levels. Alcohol has many risks for those with diabetes, such as increasing blood pressure, affecting blood sugar levels and reducing the ability to achieve or maintain a healthy weight. Consumption of alcohol should be moderate, which means no more than 2 standard drinks per day for males and females. Try to have at least two alcohol free days per week. When consuming alcohol, you should eat a carbohydrate containing meal or snack to ensure blood glucose levels do not drop too low and result in a ‘hypo’. Having diabetes doesn’t have to prevent you from enjoying life and eating tasty, nutritious food. You may find that making diet and lifestyle changes to manage your diabetes also results in positive mental health benefits. Enjoy life to the fullest whilst knowing that you are taking care of yourself as best you can. Remember; it is the person with diabetes who is ultimately responsible for managing their diabetes and maintaining positive changes. Seek support from your GP, pharmacist, dietitian and physiotherapist to assist you in making lifelong positive changes to your diet and lifestyle. 3. Lachin et al 2002. New Engl Journ Medicine:346; 393-403. 4. Tuomilehto et al 2001. New Eng J Med;344:1343-50. 5. ADA Diab Care 2008;31(suppl 1):s61-s78. 6. Willi C et al 2007 Active smoking and the risk of T2D. JAMA; 298(22):2654-2664. 8. Due A et al. Comparison of the effects on insulin resistance and glucose tolerance of 6mo high monounsaturated fat, low-fat and control diets. Am J Clin Nutr. 2008;87:855-62. 9. NHMRC Clinical Practice Guidelines: Management of overweight and obesity in adults 2003.